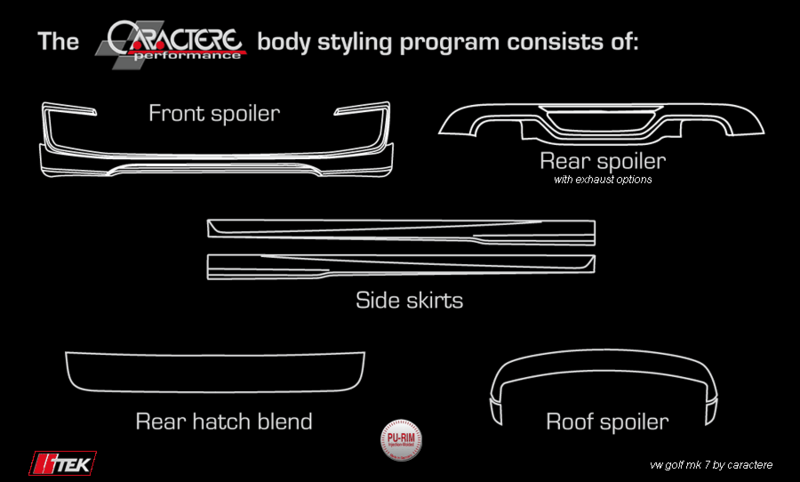 LLTeK presents body kit styling by a world leader in design and manufacture - Caractere. 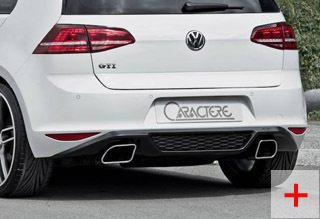 Based in Belgium, Caractere stands --- let's not be modest here and state it's head and shoulders (about 90%) above run-of-the-mill kits offerred from around the world! 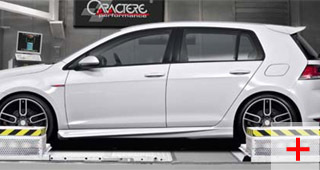 This claim does not state that Caractere is the "best" because, after 20 years of experience, LLTeK knows that tuners' opinions on what's exactly hot (and by extension what's exactly not) will always vary. 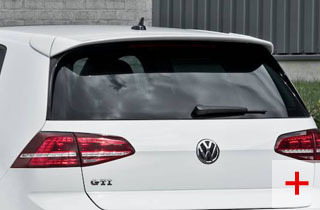 We can however, claim this company's product is consistently in the Top 10. 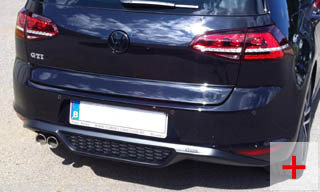 Based on years of industry experience, choice of materials (PU-RIM), fitment tolerances (no struggling, hammers, saws, or swearing required), manufacturing standards (think precision injection moulding), track testing and TUV approvals, these well-above-the-rest practices have provided the consistency required to build a reputation in the tuning world that Caractere enjoys. 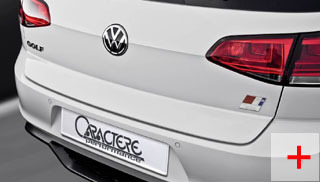 You're not under any obligation to say the styling is "hot", but the closer you look - the more you'll recognise the winning qualities inherent in Caractere's bodykit designed and manufactured for Volkswagen's Golf Mk7 - World Car of the Year 2013. 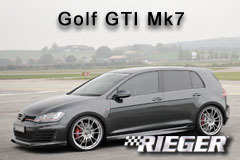 Like the car, this is an excellent choice. 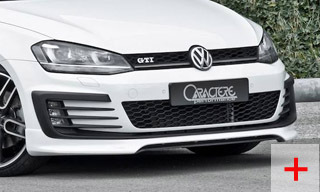 If you have any questions in regard to this body kit styling for your VW Golf 6 GTI (Mk7): call toll-free in North America at 1 888 465 5835 or international at 001 514 733 6333 (GMT -5). An LLTeK Sales Rep will be pleased to discuss your requirements and can provide a quotation covering freight costs for product delivered from Europe to your door.